Web Designing is evergreen technologies which will be present our information to the whole web world. Our Web Designing Training in Chennai provides End to End support. It’s really an art while creating a full-fledged Website of a client or for a product. If a website’s design is not up to the standard it will get the very minimum impact to the specific audience. Web Design is not just creating web pages to display some image and content. We have to analyze the purpose of that website first. After reviewing the purpose we can have an idea about what we are going to do with that website. Then we have to mix the perfect composition of ideas and creativity into that to build a solid new website for clients. Each every project should be unique. It will add some more advantage to your portfolio. We are the Best Web Designing Training Institute in Chennai with the complete structured syllabus. It will match each and every Web Design Companies or Digital Interactive Agencies in Chennai. Web Designing Training is the combination of both design and development of a website. 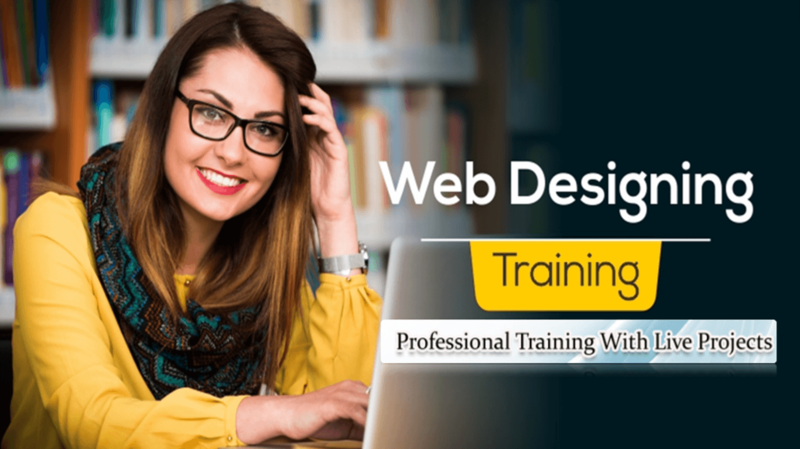 Our Web Designing Training Syllabus covers from a basic introduction of the web to the perfect dynamic creation of CMS [Content Management System] using PHP. HTML® is the basic requirement of any web application or websites. So, students who want to be a perfect web design and developer must strong in the basic part. We will give the clear cut knowledge of HTML® Tags and usage of Tags in a practical manner. Without CSS knowledge no one can able to design professional web layouts. CSS part is going to help the web designer in defining the styles of each HTML Tags. There are many types of CSS. Our Web Designing Training in Chennai will discover all the aspects of CSS Zone. After getting enough knowledge in static designs we started to train the students in dynamic languages. We chose PHP and MySQL for that. Reason for that is simple. PHP is the most powerful front-end dynamic language in this world. So, by using PHP Training our students convert the static designs into dynamic websites. MySQL is a perfect open source RDBMS which will use by most web applications. Our Web Designing Training in Chennai combined both PHP and MySQL® in static pages to build a complete Dynamic application. We trained the students to work with MySQL to build a custom CMS. Finally, we are the best institute for web designing training in Chennai with real-time projects.